Price Mistake ? – Nikon Df Body for $1,799, w/ 50mm Lens for $1,899 at B&H Photo Video ! Deal Expired ! 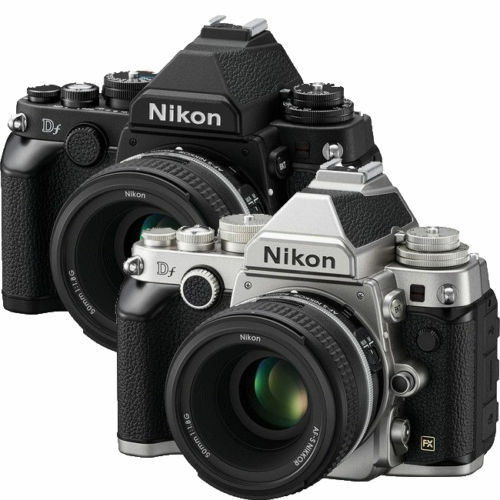 Nikon USA authorized dealer Target has a super hot clearance deal on Nikon Df body (Silver). This is currently lowest price online ever from Nikon USA authorized dealers. Super Hot – 25% Off at Newegg: D610 for $972, 24-70mm f/2.8G ED for 1,347 and more ! Hot Deal – Refurbished Nikon Df w/ 50mm f/1.8G Lens for $1,949 at Adorama ! Nikon USA authorized dealer Adorama Camera has a great deal on refurbished Nikon Df camera. 10% Rewards Also Eligible for Some NIKKOR Lenses at B&H Photo ! B&H Photo Video now has more Nikon gears eligible for 10% rewards, with several high-end NIKKOR lenses, such as 14-24mm, 24-70mm f/2.8E VR, 80-400mm, and 500mm f/4E FL ED VR. You can see full list of Nikon DSLR cameras & NIKKOR lenses eligible for 10% rewards. Hot: Nikon D810 for $2,517, D610 for $1,347 and More at B&H Photo (10% Rewards) ! Similar to Amazon’s $200 Credit on Nikon full frame DSLR cameras, B&H Photo has a better 10% rewards on Nikon D810, D610, Df, and more DSLR cameras. Exclusive at Amazon: Get $200 Credit on 41 Nikon Cameras and Lenses ! Amazon US has released a new exclusive deal where you can get $200 credit on 41 different Nikon cameras and lenses (Such as Nikon D4S, D810, D750, D610, Df and lenses). You can see the list of qualifying Nikon products here.